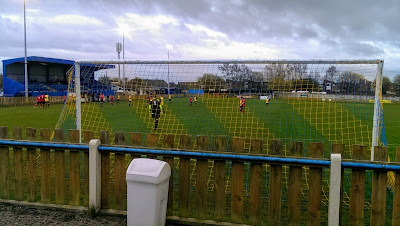 For the first time this season I finally got the chance to travel with Katie & Lee to a match, with Greater Manchester the chosen destination. We had a few options picked out before we agreeing on our choice of Atherton Laburnum Rovers. 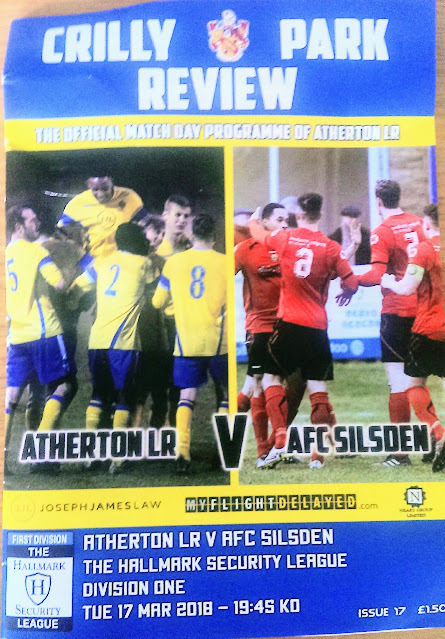 There was also the bonus of Atherton Town kicking off at 6.15, so I met up with them three hours before kick-off time to battle our way along the busy M62 for our Atherton double. Atherton was described as... "the centre of a district of collieries, cotton mills and iron-works, which cover the surface of the country with their inartistic buildings and surroundings, and are linked together by the equally unlovely dwellings of the people". The last deep coal mine closed in 1966, and the last working cotton mills in 1999. 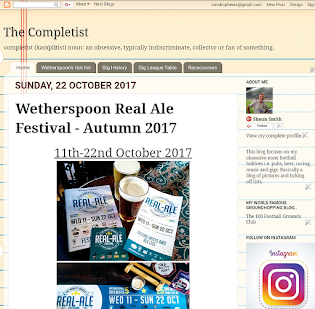 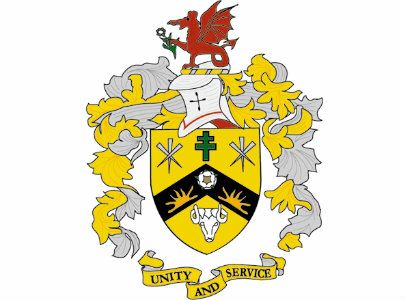 Today the town is the third largest retail centre in the Borough of Wigan, with almost 20% of those employed in the area work in the wholesale and retail trades, although there is still some significant manufacturing industry in the town. 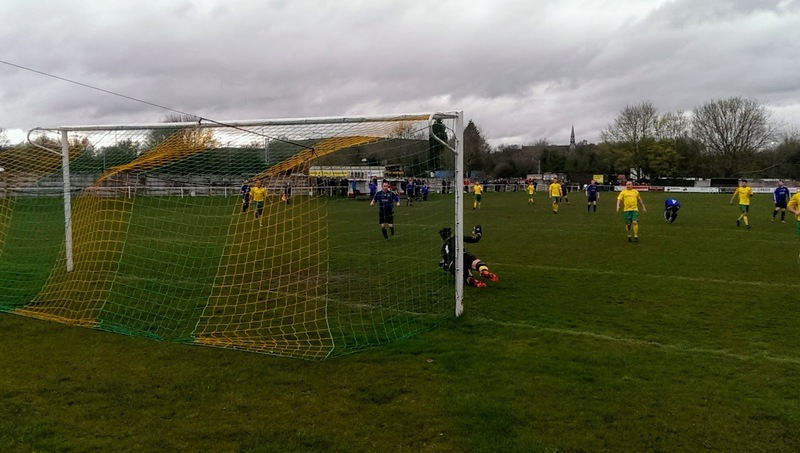 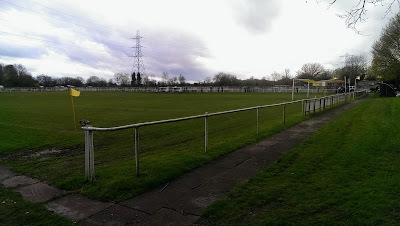 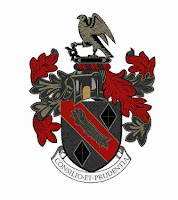 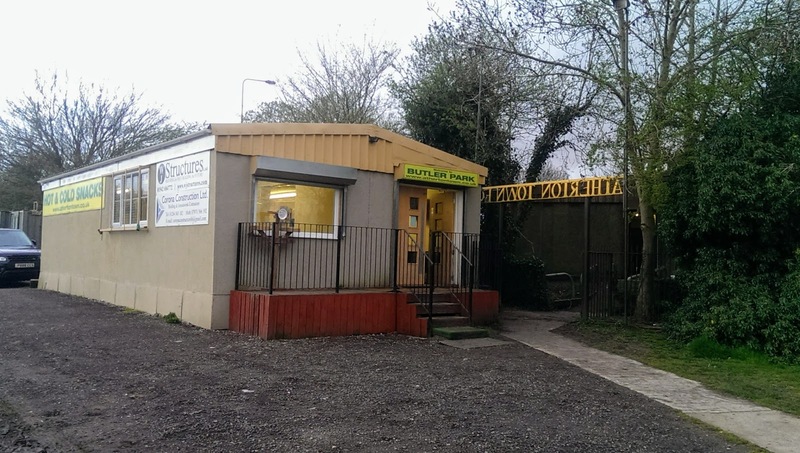 Atherton Town have three teams in the Manchester League with the senior side in the First Division, the reserves in the Third Division and the Academy side in the Fourth. 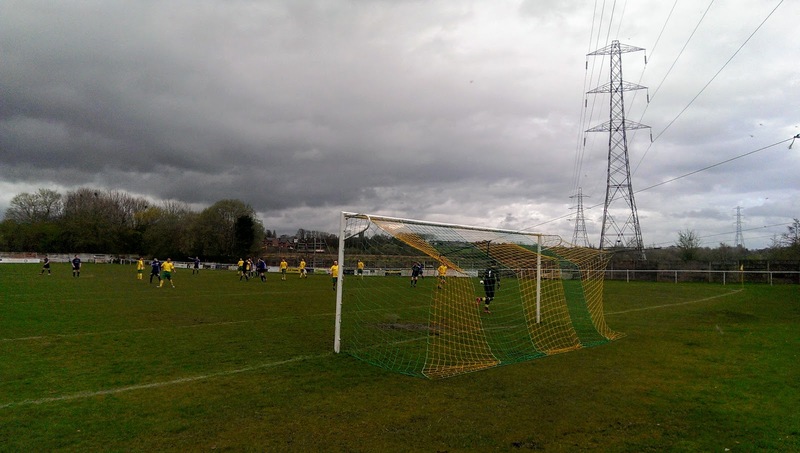 The club also has 20 junior teams covering all age groups in the Bolton and Bury League. 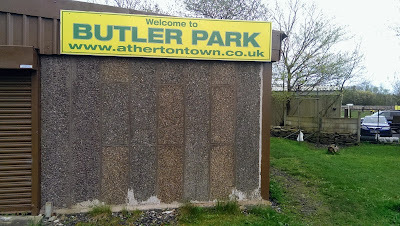 Butler Park is found behind the Howe Bridge Sports Centre. 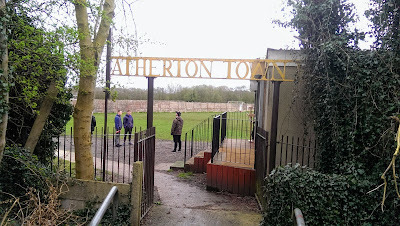 Your greeted by some rather fetching gates and a welcoming clubhouse at the entrance. 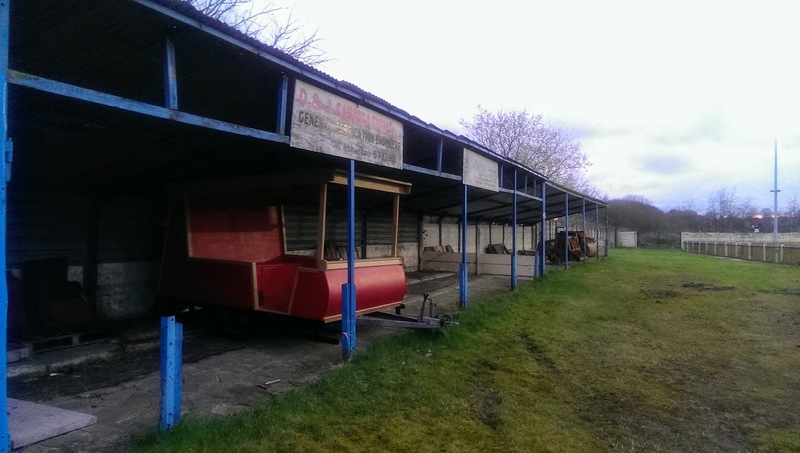 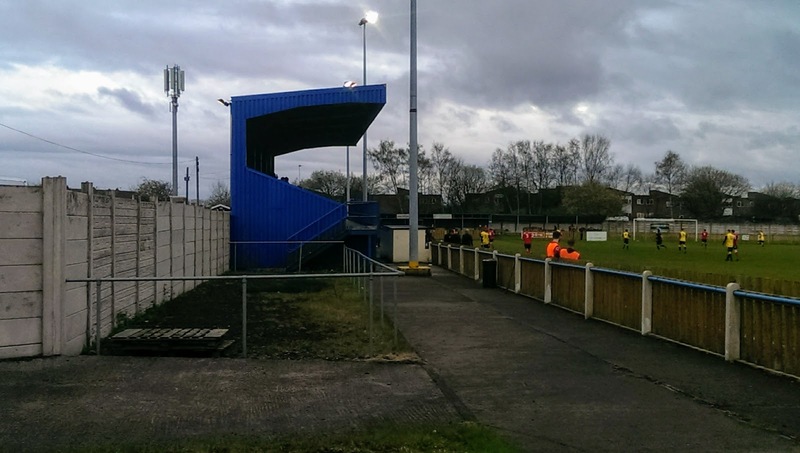 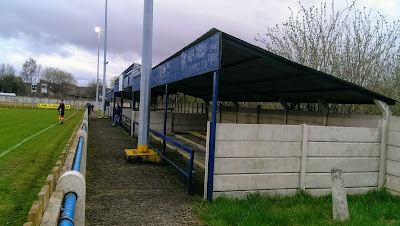 The ground is fully enclosed with a railed off pitch, with dugouts at one side. 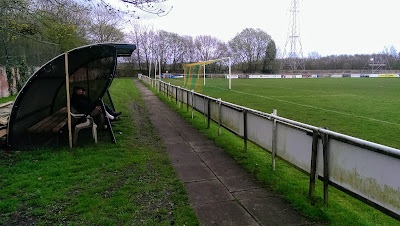 There's a small shelter with individual seats and a bench inside which I reckon has a full capacity of 9. 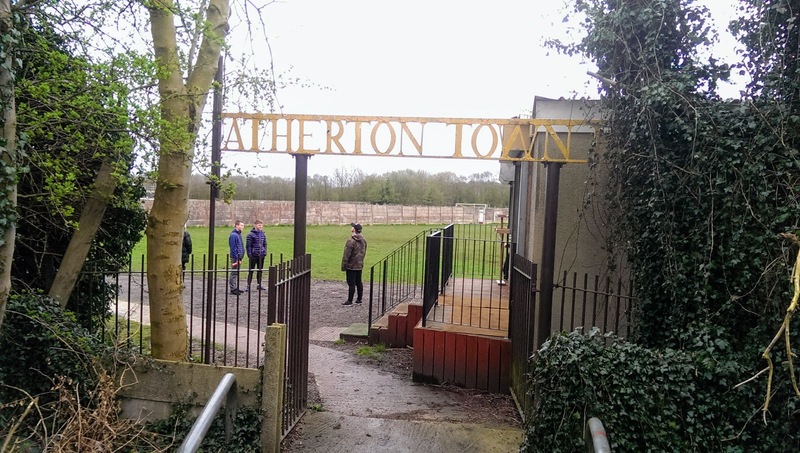 Atherton Town(7th) faced local rivals Pennington(5th), with the visitors taking control early on, going two goals up in the first six minutes. 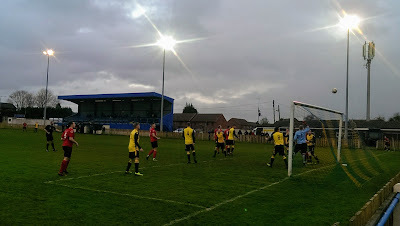 The Pennington no.10 was on hand to net the rebound after the ‘keeper made the initial save, then minutes later no.11 capitalised on a defensive mix up. 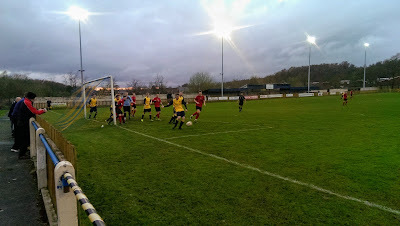 The visitors extended their advantage in the second half with the no.10 volleying in a left wing cross on 55 minutes. The home team quickly pulled one back with a Leighton Mills penalty, which no goalkeeper in the world could have saved, as his fierce shot found the postage stamp of the goal frame. 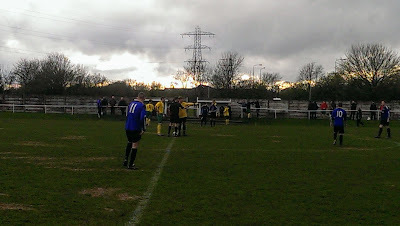 However this proved to be a consolation as the impressive young Pennington side wrapped up the match win a convincing 5-1 win. 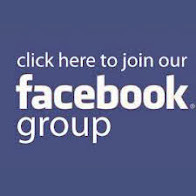 The club were established in 1956 as a youth team originally named Laburnum Rovers after their home at Laburnum Playing Fields. They played in various Junior Leagues until switching to a senior side when they joined the Leigh & District League. In 1961 they joined the Bolton Combination,winning the Division Two Trophy twice and promotion to Division One as champions in 1966. 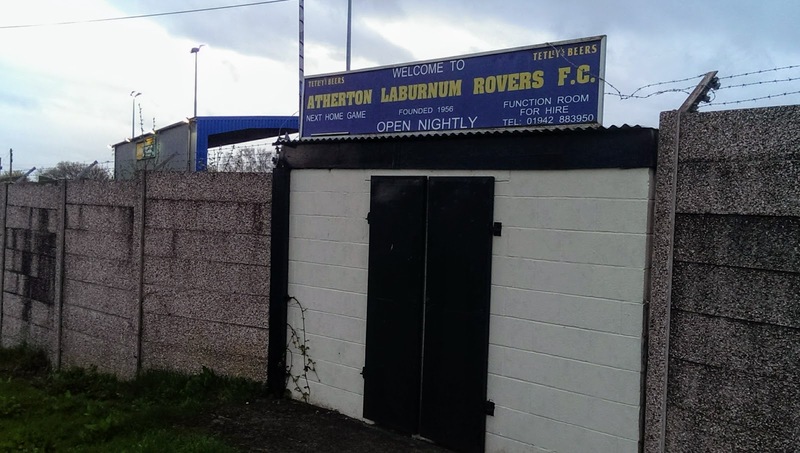 In 1980 the club joined Division Two of the Cheshire County League but on the condition of the league rule which requires the name of the town to be included, so they became Atherton Laburnum Rovers. 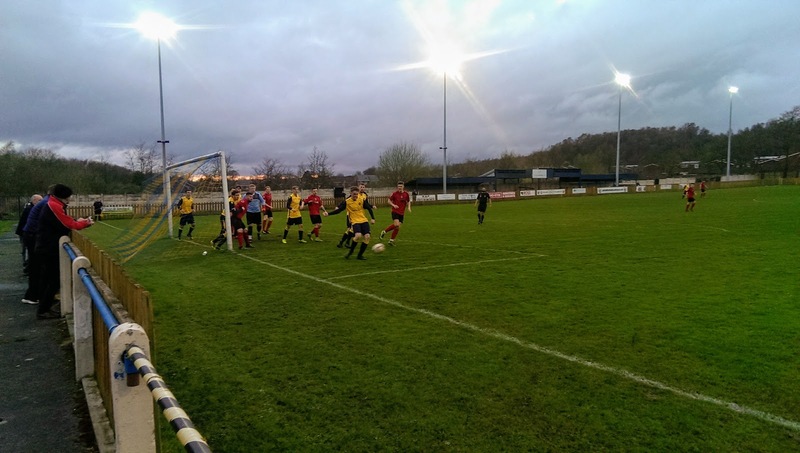 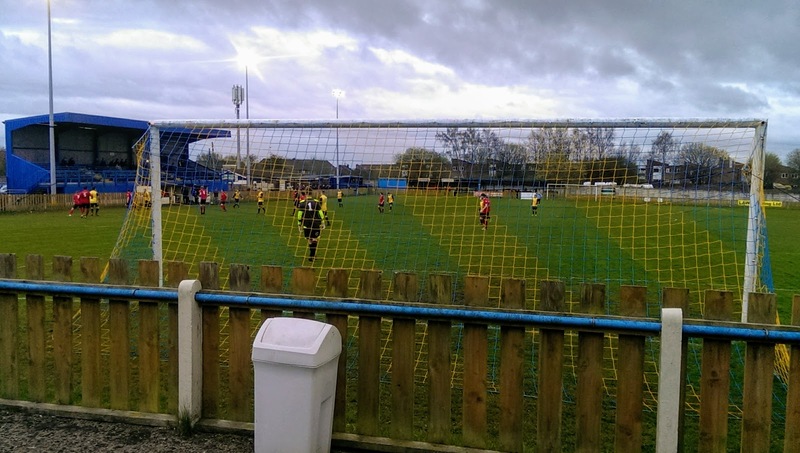 After two seasons the league merged with the Lancashire Combination to form the North West Counties League, with Atherton LR placed in Division Two. 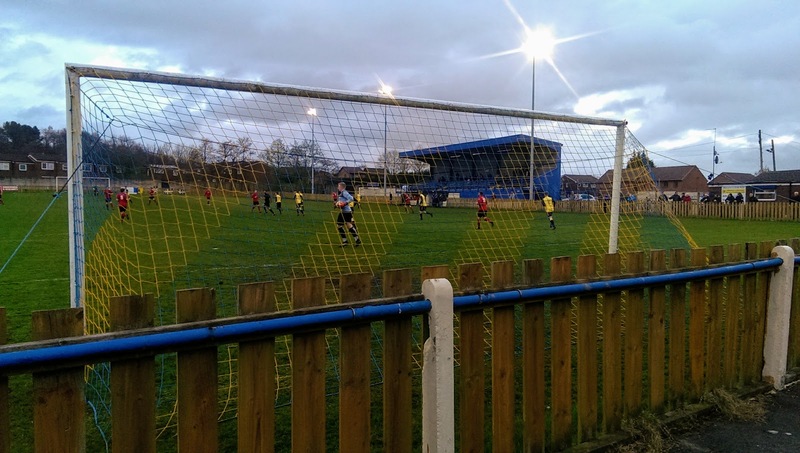 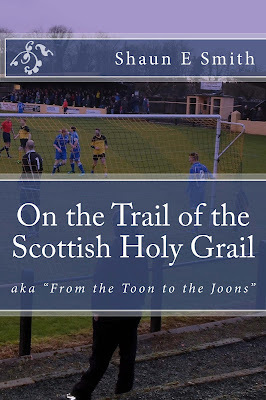 Their best performance in the FA Vase was in 1993-94, reaching the semi-finals when they lost out to 2–1 to Diss Town 2-1 in a replay at VS Rugby after the two legs finished 3–3 on aggregate. After originally played at Laburnum Road Playing Fields, they moved to Hag Fold two seasons later, before club progression saw them obtain a field where they opened their Greendale ground in 1966. The ground was renamed Crilly Park in honour of former chairman Jack Crilly who died in 1980. 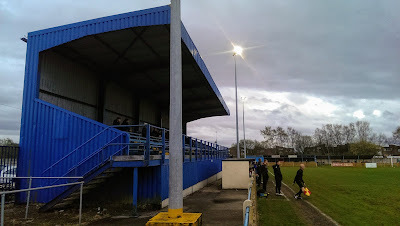 The main stand has a 250 seats, elevated about the dugouts with good views of the pitch. The rest of the ground has hard standing with a few steps of terrace on the covered side opposite the stand. Floodlights were installed in 1989, with new clubhouse and changing rooms built two years later. Weather: cloudy with the odd spit of rain. 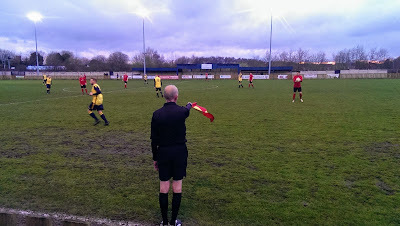 After a poor first half in which the players constantly moaned and twisted at every decision, the second half was much better, with both sides going full pelt in trying to clinch a late winner. Rovers will be happy with a point plus a clean sheet against the leaders, while Silsden will be disappointed in not picking up all three points in their pursuit of the title.